Nothing to see here; except unbelievable cuteness. 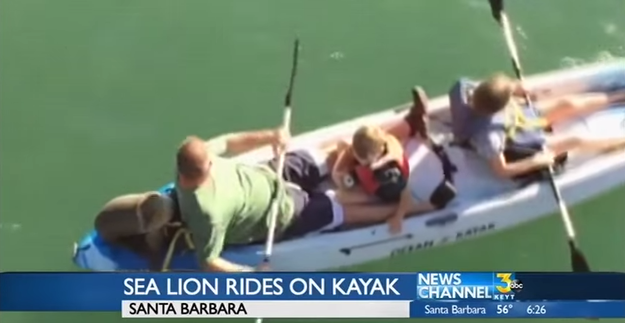 A young sea lion was looking for love on Valentine’s Day so decided to catch a ride on the back of a family’s kayak. The incident took place in Santa Barbara’s Stearns Wharf at the weekend, KEYT-TV reported. “Next thing you know, I could tell he had climbed aboard. 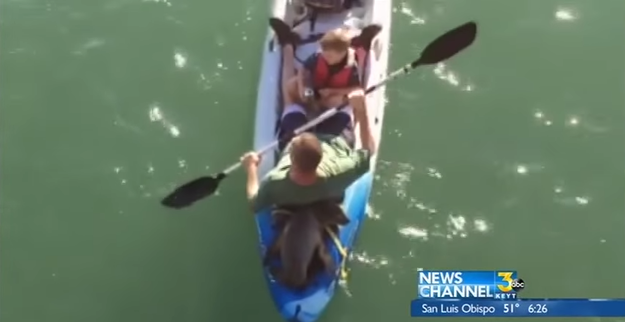 KEYT-TV said the family, from Orange County, enjoyed the pup’s company for about 20 minutes before heading back into the ocean, with the family claiming it may have been spooked by the crowd which gathered to watch.